This is our frequent look at the most popular — or in some cases our personal favorite — videos on Clippit. Clippit is an awesome app that allows us to quickly grab 30-second clips from several live TV broadcasts and share them on social media. Johnny Manziel is now in the CFL, playing quarterback for the Montreal Alouettes against the Hamilton Tiger-Cats. 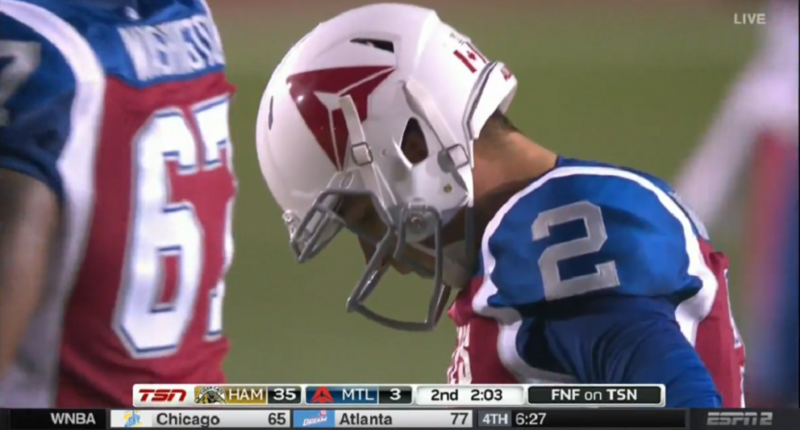 Manziel made his regular-season debut for Montreal on Friday night, and, uh, yikes. The homer also featured a fantastic bat flip. And on Friday night, he made one of the best defensive plays you’ll see in baseball this year.